The past week has been amazing here. Sunny, highs in the mid 70s, with just enough breeze to never get too warm. 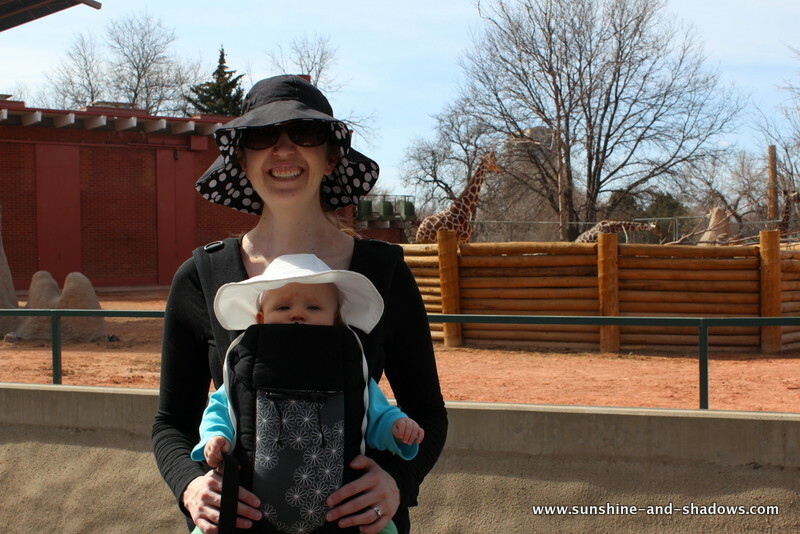 We’ve been taking advantage of the weather (while appropriately covered from the sun), and have gone on hikes, picnics and outings to the zoo. I love this picture of Peter and Emmie from our “European picnic” last Sunday with our friends Jill & Kyle (hats are de rigueur here now). They both just look so happy! Our trip to the zoo with Caryn, and her girls, H & B, was super duper awesome, not that you can tell from Emmie’s face here. 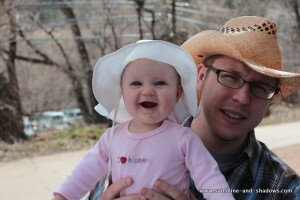 Emmie loved it, but she was bit tired from the 30 minute scream/crying fit in the car on the way there. One that happened for no apparent reason, even (other than being really tired and not willing to sleep). So what you see here is a face that doesn’t want to miss a single thing, and yet hasn’t slept in probably 4 hours (she usually goes down after being awake for 2 hours). And I already warned you about the hats. 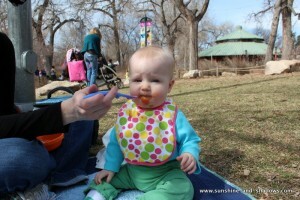 At the zoo, we had a picnic. 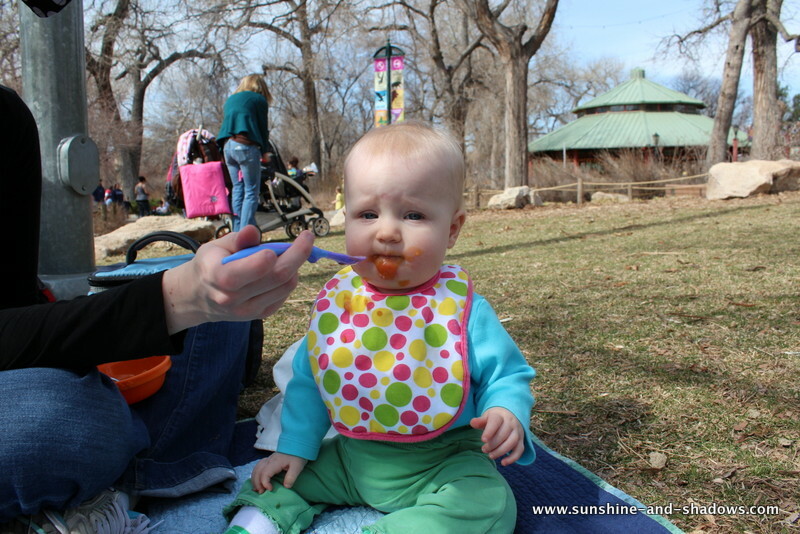 I’m pretty sure this was Emmie’s first time eating outdoors! 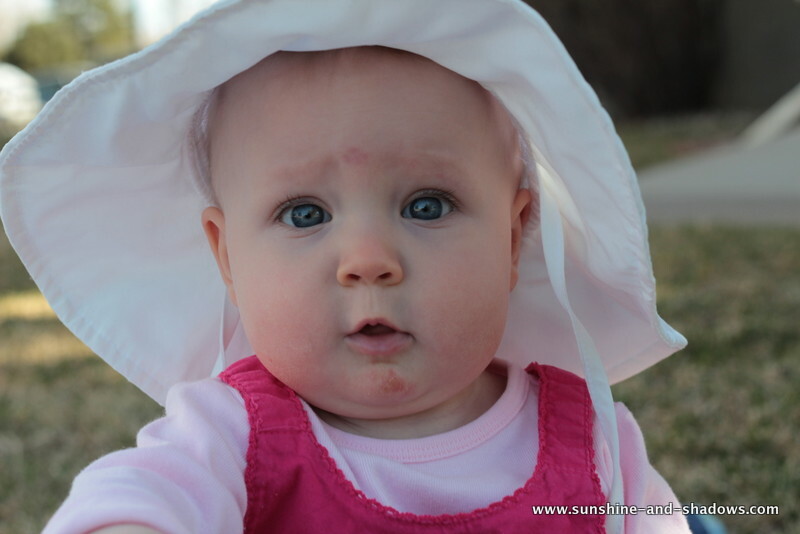 Good thing Emmie looks adorable in hats! 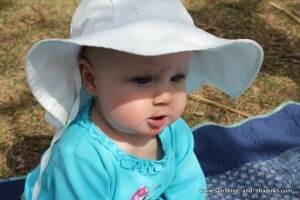 Although the zoo day was her first picnic, it certainly wasn’t her last! The very next day, we had an outdoor play-date with the neighbor baby and had another picnic. Pretty sure Emmie loved it. 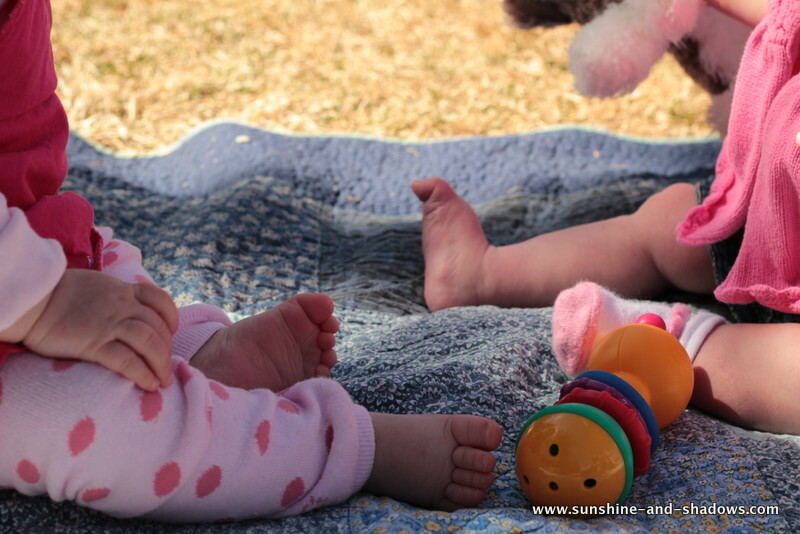 So that’s what we were up to the first part of the past week… Up next: Emmie’s first time swimming and a visit from friends!